The vintage postcards are from the Van Deusen-Kosinski collection of documents and illustrations. Almost all postcards were purchased with some damage which I have repaired with Photoshop. What that means is that, though the original postcards are old, these versions remain under copyright protection because they are the result of my work. These postcards are essentially a graphic novel with the text being late 18th century poetry. It's a combination of art and the poetry of Henry Livingston, Jr. These are poems of beautiful women, illustrated by some of the famous postcard artists of the turn of the twentieth century - Tito Corbella, Philip Boileau, F. Earl Christy, C.W. Barber, Harrison Fisher, W. Haskell Coffin, Anna Mailick, Emile Bottaro, and Clare Victor Dwiggins, among others. Whether you're reading the poetry, or just enjoying the art, this is a wonderful book and a most appropriate Christmas gift! 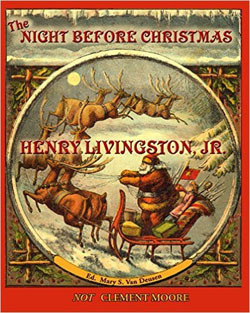 For many years, academic scholars have made the case that the actual author of "The Night Before Christmas" was Henry Livingston, Jr. of Poughkeepsie, NY. These scholars included Vassar President Henry Noble MacCracken, University of Pennsylvania Professor Tristram Potter Coffin, and Vassar Professor Don Foster. But the arguments they made were linguistic analysis and other scholars took Moore's side. Auckland University Professor Emeritus MacDonald P. Jackson decided to approach the problem differently, using statistical analysis to examine the unconscious characteristics of the language each poet used. 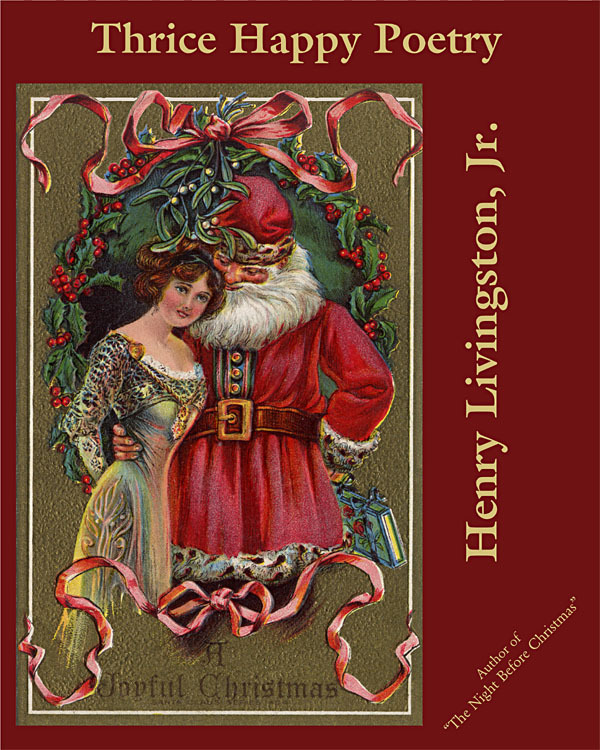 Developing tests that could discriminate the writing of one man from the writing of the other, Jackson examined the Christmas poem and found that it shared the linguistic characteristics of Henry Livingston, and not Clement Moore. And so, almost two hundred years after the poem first appeared in the 1823 issue of the Troy Sentinel, the question is finally settled. 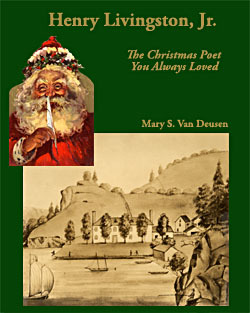 The author of the poem is Henry Livingston, Jr. of Poughkeepsie, the Christmas author you always loved without ever knowing who he was. If you want to follow Jackson's data and prove it to yourself, I strongly recommend you get his book, Who Wrote "The Night Before Christmas".